The following profiles provide snapshots of just some the historical philanthropic activities of Founders Mark and Marcia King. Current activities of the MMK Foundation are highlighted in our Press Room. Supporting neo-natal medical technology, funding research for children’s gastroenterology and nephrology diseases, and funding of everyday operations of Children’s Hospital of Dallas are examples of how the MMK Foundation makes a difference. “TeleNICU provides a communication platform for 24/7 patient/provider access to the Children’s Health Level IV NICU and the renowned expertise of UTSW neonatologists. This improves access to expert consultation otherwise unavailable at many locations”. A Level IV NICU is equipped for high-risk pregnancies in the event of a fetal diagnosis of a birth defect or medical condition. To explain, a child may be born with an undiagnosed heart problem in a hospital 2 hours outside of Dallas. A small hospital would not be equipped to deal with this birth and immediate medical treatment may be necessary. 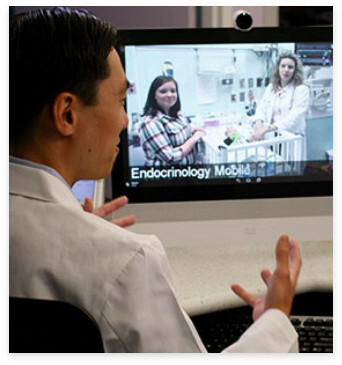 TELENICU would allow a Level IV to do a “live examination” utilizing specialized equipment and secure broadband transmission allowing two-way, real time interactive communication. The expert neonatologists at Children’s will be able to examine newborns at distant sites making time critical care decisions. The MMK Foundation recently made a $1 million donation to Children’s Hospital and University of Texas Southwestern. The Kings believe philanthropy is necessary for these institutes go from good to great or preeminent. Private gifts have major impact in recruiting and retaining star faculty and continuing research projects. 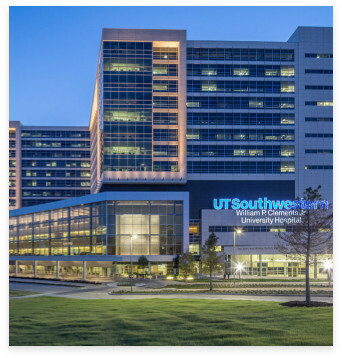 The gastroenterology department at UTSW has several research projects that have been supported by our donation. The MMK Foundation has supported a specific research project in the pediatric nephrology research department of UTSW for several years. This research is working to find out why children with chronic kidney and end-stage renal disease have premature death to a compromised cardiovascular disease. A patient on dialysis life expectancy is only 5 – 10 years normally due to sudden cardiac death and not kidney failure. This project researching cardiovascular complications in chronic kidney disease is important since an answer to this problem will save many lives. Hurricanes often have devastating and long-term effects on the health, property, and well-being of those who reside in effected areas. The loss of life, negative health impacts, destruction of homes and personal property, and impact on residents’ ability to earn a living are just some of the deadly impacts of storms and other natural disasters. After the initial destruction comes the daunting task of recovery and rebuilding. The founders have provided hurricane relief funds to help people overcome and rebuild after Katrina, the Jamaica hurricanes, and other natural disasters. Hurricane relief funds support efforts to help people reclaim their lives, rebuild their homes and communities, and recover when natural disasters occur.